Recent economic reports have detailed a recovery you can believe in. The Connecticut unemployment rate has reached near an all-time low of 4.0 percent. In 2018, the number of residents employed grew by nearly 20,000 and our labor force grew by more than 11,000. It sounds encouraging, but the numbers understate and mask a significant challenge to our future prosperity. I believe that our skill shortage is more acute than it has ever been in our history. It’s not a people shortage, it is a job-ready “critical thinker” shortage and it’s a crisis. In my view, the skill shortage poses the greatest threat to achieve a full economic recovery. Connecticut’s challenge is structural — it took years to happen and will take years to reverse. Our population has declined over the past five years to a level lower than 2010. Between 2010 and 2040 the number of Connecticut residents age 65 years and over is on pace to increase by 57 percent. However, the working-age population is projected to grow less than 2 percent. Further, our future technology-savvy workforce which is currently under the age 18 is projected to decline by 7 percent. These factors alone will discourage entrepreneurialism and skew business plan projections for the next several years. The aging population will continue to be consumers of goods and services but they will not drive business innovation. We need to retain our young workforce and encourage migration of young skilled workers from other states to Connecticut. Educators, workforce-development folks and employers must come together to cultivate a workforce of critical thinkers in every growing sector of our economy. The private sector has added jobs slowly and steadily over the last few years, but a significant percentage of new jobs in Connecticut are concentrated in lower-wage industries. During the economic recovery following the recession (2010-2016), Connecticut only regained 8,200 higher-wage jobs after losing 54,400 during the recession. During the same period the state grew 52,100 jobs in lower-wage industries. Job gains led by lower-wage, lower-skill occupations, without opportunity for career advancement, militate against progress for individuals and business. According to a recent study by ManpowerGroup, technology is redefining, rather than replacing, in-demand roles. As companies digitalize, automate and transform, finding candidates with the right blend of technical skills and human strengths is more important than ever. The skills transformation we are experiencing does not necessarily require a college degree. There will be good-paying jobs for workers with a desire for learning and a willingness to continuously upgrade their skills. Businesses can help by creating a culture that values learning and equipping people to adapt. There are many ways to acquire knowledge and lifelong learning is fundamental to success. A successful workforce is not focused on learning in a specific moment and time, it is an activity and mind-set that occurs on an ongoing basis. The WorkPlace has opened a dialogue through four employer roundtable discussions during February and March. We will gather ideas on improving the region’s workforce system to better support employer efforts to cultivate a skilled workforce. If the state fails to recognize and address the skills shortage, economic growth will be impeded and Connecticut will continue to lose population and opportunity. We need to shed partisanship, think strategically and act with determination. It won’t be easy, it won’t happen with dispatch and it won’t be cheap. Our task is to reinvent and reinvigorate our economy. Gov. Ned Lamont has assembled an outstanding team of accomplished leaders to carry out his economic plan. He deserves our patience and support. 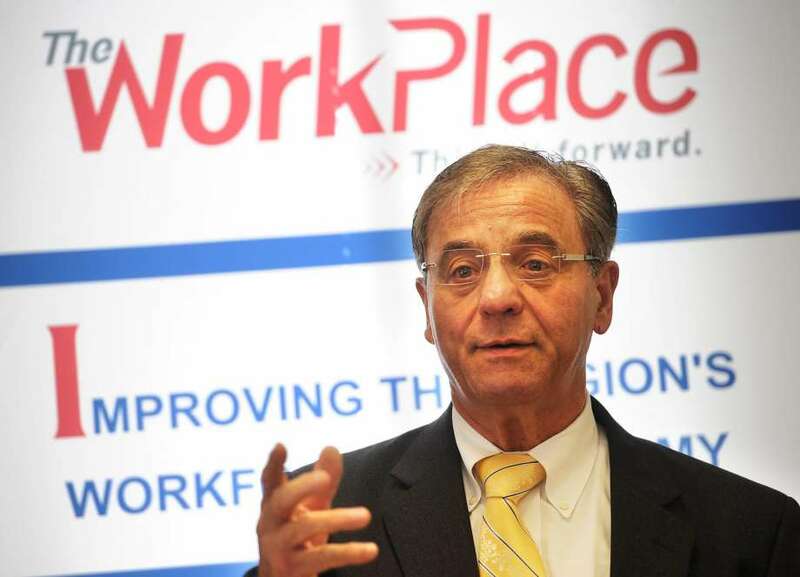 Joseph Carbone is president and CEO of The WorkPlace, which provides workforce development services for employers and job seekers. It is based in Bridgeport.